Once again I was missing in action..Summer time is so hard as there is so much going on with kids and weekends are super packed. I feel like I have no time for myself or anything else with kids and other stuff during summer time. Hopefully will be posting more often as I am trying to cut on socializing a bit. I made Sookha Chanaa Aur Aloo few days back, so took the pictures right away but didn't get a chance to put the post together. 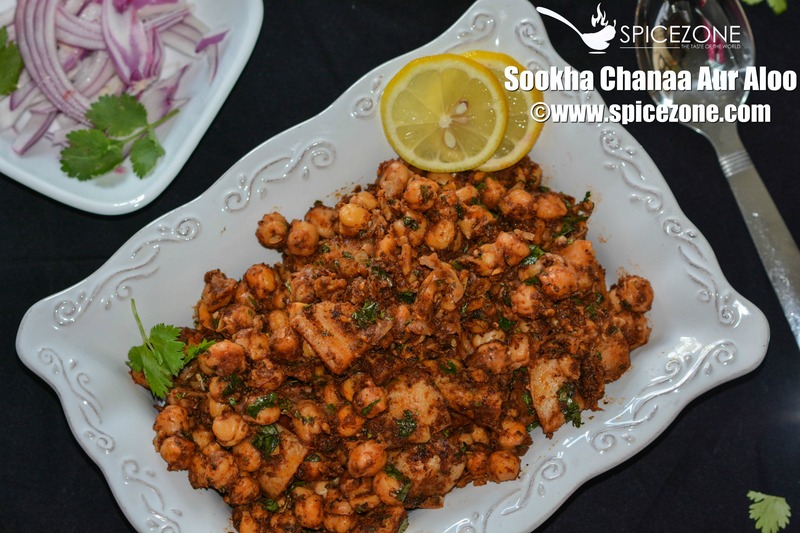 Sookha Chanaa Aur Aloo means dry chickpeas with potato. This is such an easy recipe that can be ready under 30 mins. I always keep chickpea cans for the days I forget to soak them. I usually don't use can products but days like this, it is a life savior. A flavorful dish for your week nights and the days you don't feel like making an elaborate dinner. My kids loved it and so did my husband. So without further delay, lets get to the recipe. Don't forget to try it and let me know how you like it. In a kadhai or a pot, heat the oil. Add cumin seeds and let it splatter. Add the sliced onion and saute until a little brown. Add garlic and ginger to the onion and stir for a minute. Now add the cumin powder, anardana powder and mix well and saute for an additional couple of minutes. At this time, add tomato puree, salt, red chili powder, garam masala to it and cook it until the raw smell of the tomatoes is gone. Now add the cubed boiled potatoes along with the chickpeas and mix it well. Do a taste test and add if anything needed. Cover and simmer for a few minutes along until the flavors marry. 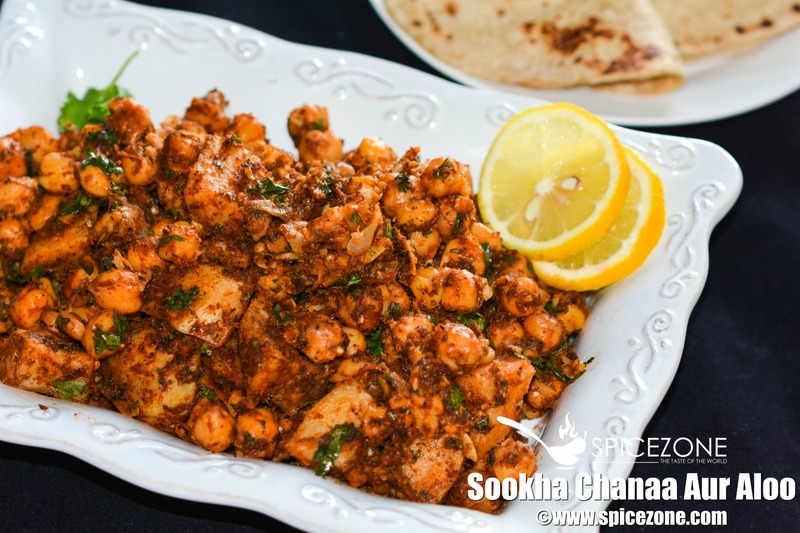 Sprinkle the kasuri methi and give it a mix. 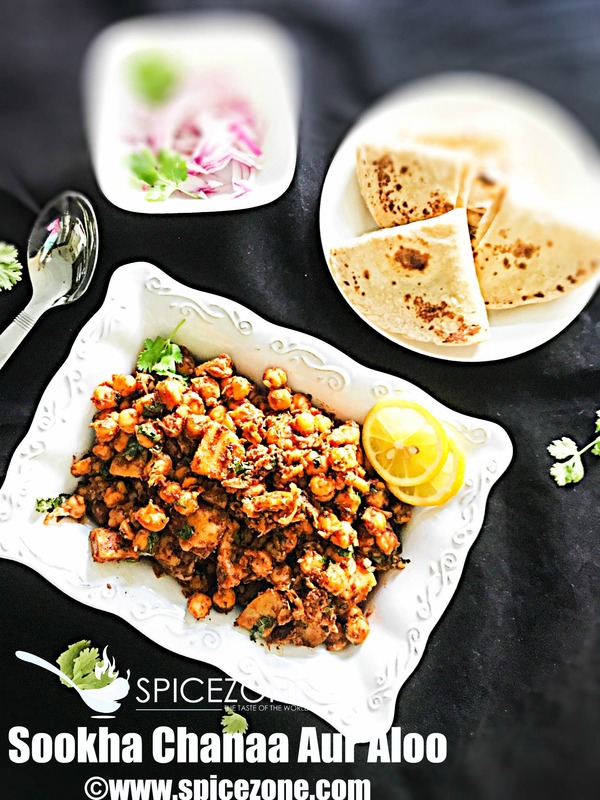 Enjoy with hot chapatis or a paratha along with raita.